Originally a travel retail release, this continues the recent tradition of using Norse names for Highland Park whiskies. 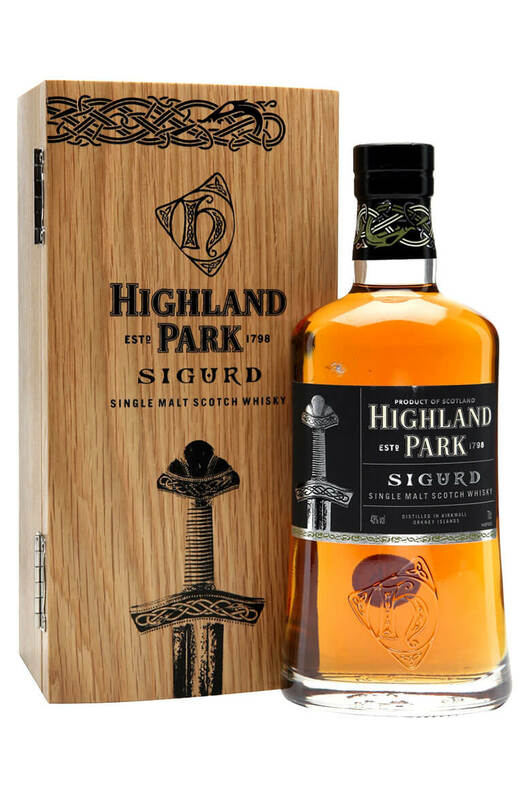 Highland Park Sigurd is distinguished by being drawn predominantly from casks of European origin, ie mostly European oak sherry casks. Like a lot of recent releases from the distillery there is no statement of age. Sigurd was the second Norse Earl on Orkney and he lost his life whilst fighting in Ireland. Sorry abouth that Highland Park! Types of Barrel used for Aging Predominantly aged in European Oak Sherry casks. One of the most complex of all standard expression whiskies. The Highland Park 12 Year Old has a lit.. Thought by many as one of the finest single malts available. This is a rich and full flavoured wh..
A smooth and very well balanced vintage bottling of Highland Park that spent its entire life in a fi..
A classic Island style single malt from Highland Park in Orkney. Compared to official distillery ..
Paying tribute to their Orcadian ancestors who valued a strong work ethic and skilled craftmans..